The lens on this compact super-zoom offers a lot of power, though the camera's autofocus is sometimes sluggish, and photos taken in low light tend to come out blurry. That said, the SZ-12 has a lot to offer for under $200. Read more in our Full Conclusion. 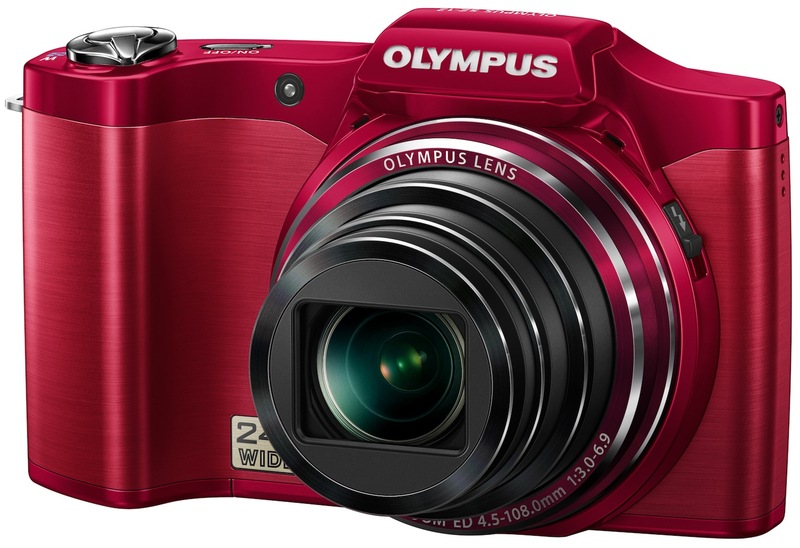 The Olympus SZ-12 is a budget friendly Super Zoom camera that retaisl for less than $200 -- in your choice of silver, black, or red. Designed to fit snugly into your hand thanks to its "Smart Grip" aluminum body design, this stylish camera boasts a whopping 24x optical zoom, which is the 35mm equivalent of 25-600mm. There's also a Telephoto Macro setting so that you can use the lens not only for long distances, but for tiny objects. The Dual Image Stabilization is a must have safeguard when at full zoom. The SZ-12 also features a 14-megapixel CCD image sensor capable of recording 720p HD video and high-speed sequential shooting at various resolutions. Ten Magic Filters are built-in to spruce up even the blandest still image and thanks to the camera's built in Eye-Fi capabilities, loading your images and videos to your computer and/or social networking media sites is a snap with an optional Eye-Fi SD card. The HDMI out means you can connect the SZ-12 directly to your big screen to watch your HD movies and/or a photo montage of your high resolution still images; optional HDMI cable is required. The Olympus SZ-12 is available now with a suggested retail price of $199 USD. You can choose from three stylish colors: Red, Black, and Silver.